Thanking and Sharing . . . Awards time! Stealing a line from fellow blogger and friend Robin of Bringing Europe Home, I shall say that I would definitely deserve an award for procrastination! A lot has been going on in my family life, but more than that, as they would say in Italy, “Sono in ferie” (I am on summer holidays). My blogging, tweeting and Facebook posting has been sporadic and I will honestly tell you that it might not get much better until after my trip in Italy. Oh, I guess I didn’t share this information yet . . . I will be in Italy for three weeks next month!!! As you can imagine, I have been busy planning. 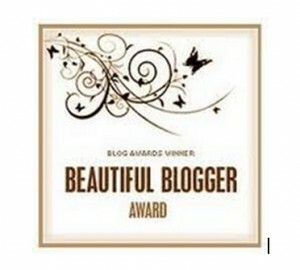 Back to today’s topic: it is time to acknowledge and formally accept, with much gratitude, some blogger awards that I have received in the last two months. These awards come with rules. But rules exist to be broken and so, led by the lovely bloggers who nominated me, I will break some. The first rule is the easiest to follow, acknowledge and thank the blogger who nominates you, link it back and show the award badge on your page. GRAZIE, GRAZIE, GRAZIE to these wonderful, talented, interesting bloggers who found my blog nice enough to let me share their fame. Please visit these ladies’ blogs; they are beautiful and inspiring, each one in their own personal way. If you are one of my nominee, borrowing the idea from Two black doggies, you will, have the option to accept one of the above awards – or all of them if you wish! The second rule usually involves sharing a number of facts about yourself or answering specific questions. Accepting 3-4 awards at once could be quite challenging; I should be answering 10 – 20 questions and sharing an additional 20 facts about myself. Well, I told you “sono in ferie” and this seems a lot of work to do on your holiday! Following Robin’s lead, I will break the rule and just answer 10 questions from one of Robin’s two options. What is a real fear you have? I am afraid of being trapped. As a kid, what did you want to be when you grow up? I always wanted to be an architect . . . my passion started during my summers in Paestum. What are some of your hobbies: Blogging, interior design, cooking, and reading. What hobby would you like to start? Pottering and painting. If you could tell people anything, what would be the most important thing to say? Don’t be afraid to say that you care! Name one item from your “bucket list”? I don’t really have a “bucket list”, however, a trip to Bora Bora would qualify. What’s the best prank you’ve pulled off? Never played a prank on anyone. What book are you panning on reading next? Dark Water, by Robert Clark. Coffee or Tea? Caffè, grazie! I do, however, enjoy afternoon tea in the cold days of Winter. Lemon Torte or Chocolate Cheesecake? I will have to go with chocolate; I don’t prefer cheesecake but a slice of rich Torta Caprese would definitely be my top choice. If you are one of my nominee, you too will have the option to answer the above questions or the ones that you can find here. You can also opt to simply share 7 facts about yourself. 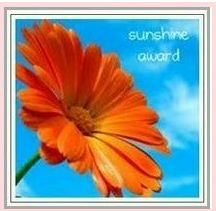 The third and most difficult rule is to pass along the awards to other bloggers you like and to notify them. 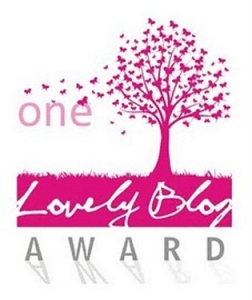 My first challenge has been the number of blogs to nominate, again each award comes with its own number (5 – 10 – 15). I will make my own rule and nominate 7. The second challenge has been how to pick my 7 nominations. Just like Sam, I still consider myself new to the blogger’s world and I am still discovering new blogs. The blogs I follow are all beautiful and well deserving of awards; furthermore, they have, most likely, already received every award. Once again, “sono in ferie”; do I want to spend hours sorting through blogs trying to find out who hold which award? NO! How to solve my dilemma: I will nominate 7 blogs that I had not have the opportunity to previously nominate. I hope you will enjoy showing off these colorful badges on your site. Bringing Europe Home – sorry, I just realized I have never shared an award with you! Thanks again for the nominations, thanks to everyone who has been following my blog, liking my posts and taking the time to leave a comment. I appreciate all your support. And let’s not forget, BUON FERRAGOSTO and BUONE FERIE!!! Time to announce the winner of my GIVEAWAY! “Capture the Colour” and lost photographs! So glad you stopped by….I hope you will find something interesting on my site. I am very excited about my trip in Italy and I will be sharing my traveling upon my return. Hi Maria. Many congrats! I just lost the last hour or so meeting Ciao Amalfi and Browsing Rome. Thank you. Thank you! Hope you had some time left for browsing my site…ahah :)! Secondly…I am SO jealous that you will have 3 WEEKS in Italy!>!>! Where are you going?? What are you doing??? I am thrilled for you! Thank you! I will be visiting my family in the Milano area. From there I am planning some day trip to the castles of Piemonte and to lake Como. I will then travel South to visit my husband family in my hometown. Going to the Amalfi Coast and …. still planning! Thank you Meg…I hope you have been enjoying the book! Congratulations, MariaGiovanna, and thank you kindly for nominating me. Enjoy the rest of your vacation, even as you prepare for an exciting three weeks in Italy! I’m looking forward to hearing about your trip to Italia. Thank you for the award So nice meeting you What part of Italy will you be going to or are you traveling to different areas? I really hope I get their one day, especially Naples where my family originated from. Have a great rest of the week!! I will be visiting family in the Milan and Naples areas but also traveling a bit in the Northern and Central Regions. I am looking forward to September! You would love it there and should definitely plan a trip…I can help you with that :-)!